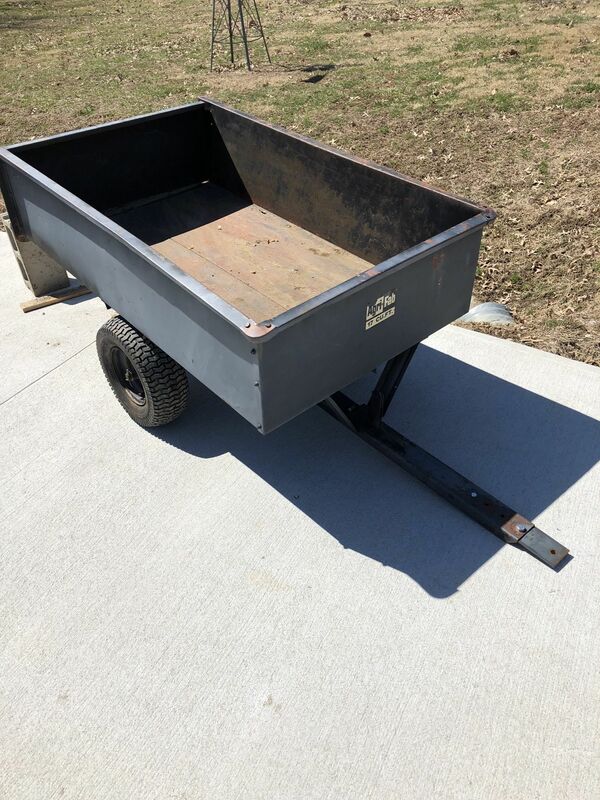 All Metal (Steel) Utility Yard Cart for Sale. Used condition, but plenty of life left. Agri-Fab brand large 17 Cubic Feet( 57”x33”x14”). Tilt bed, some rust and paint loss, but no holes or major issues. Great hauler for wood, rock, grass, mulch, or dirt. Just hook up and go. Asking $75. Contact Steve at 402-630-6521.